As a basic user we use notepad to write the note and save in our computer then again for any new note we create new text file or open existing text file and update the same. Think if we can take our study notes, work notes, imp to remember notes and access it any where and any system connected we want why only text format notes only when we can take screen-shot or record audio also. Easy to search what we require and available when we want and its not limited only for system wen you can access the same notes on your mobile real-time or vice-versa. 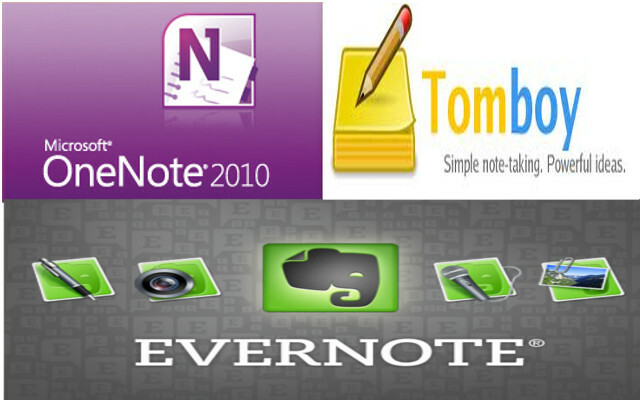 Yes am taking about note note taking application, same as other software's there is also multiple note taking application available some is free for basic usage and some in free but bundled in suite that we need to purchase. One note is good note taking software its free if you buy MS-Office Suite, i used in my office environment for 6 Months, but when i decide to try it on my android mobile (Don't tell windows mobile because its really limited mobile but that's different debate) what I found that the sync time and data update is really takes a lot time on 3G service india, not only that but also the note taking on mobile is very slow, so always I take pen and paper to write those note as the one note app is take time to open and not works with Linux as app but we can use on browser but still not great if you use Linux. Tomboy note is free, very light and simple note taking application for linux I love with when I started to you the sync function is work on ubuntu one cloud so we can work on both platform Eg. Linux and windows using Ubuntu One Cloud, and I also manage to configure it on my mobile but it's read-only format on my mobile so the tomboy application is not worth for me. Evernote is most popular notes taking application, available in free as well as paid support also works great with my office windows system with short cut keys to create notes & Mobile open sync in second data store in external card, web interface is same as application it self but it's not available for linux.... no wait when I move my primary OS as Linux my only issue is about note taking application to resolve this issue I found two software which work with evernote and give me ability to sync my notes on linux platform also. 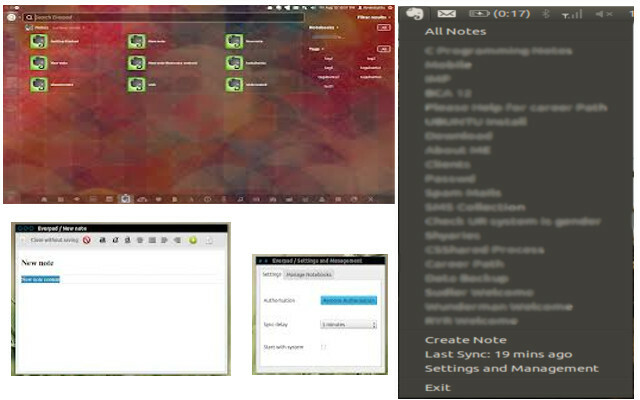 Never Note: its an clone of never note created by opensource community current version is in beta testing stage so we can support, we can download and install deb package on ubuntu from. for other +Linux distro How To Install also report any issue or bug on Report Page. As a third part of this discussion Move on from Windows to Linux & Office Alternative i will try to cover the basic usage of image editing software. Every one from basic computer users to advance system users some time they are required to edit the image, to upload in there social networking site or retouch to look better in there personal collection. yes i am not talking about professional graphic designers who user image editing software for professional use. So the discussion is going on same basis that are we really need to pay for software's but yes if we have some to donate it would be good the choice should be ours for personal use not any proprietary software vendors decide how much we pay as personal use only some time we use the software and should pay as per there license basis. So as professional use i found that most of people use photo-shop as basic image editing and coral draw as graphic vector software's no doubt those software are good for professional use as the business, we earn so there is no issue to spend some for the license. but for personal use when i moved on Linux the proprietary software's are not available because of Linux open source nature. so for alternative i found that GIMP image editing and InkScape for graphic vector. Gimp (gimp.org) is an image manipulation program that under the GPL license. bind in most of Linux distro. Gimp toolbox has all the basic items you need to work with images. It has painting tools like brush, pencil, airbrush etc. It supports custom brushes and patterns. For various needs there are various plug-ins available. Supports all the files as Photo-shop do. Gimp user manual can be downloaded from the gimp website here (http://www.gimp.org/docs/). Same as like Photo-shop gimp has effects and layers. Playing with gradients and patterns will require minimum system requirements and advanced user experiences. Using gimp you can retouch digital photo. 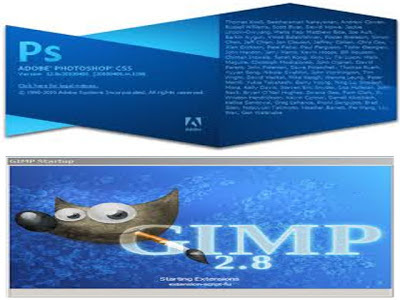 Gimp is a superb free image manipulation program for basic and as well as advance users. InkScape (inkscape.org) is an graphic vector with similar as coral draw but free open source. it's capable to create page layout, screen and logos up to mark for any kind of drawing task. bundled with standard tools for vector job. on Wiki (http://wiki.inkscape.org) we can get manual and basic tutorial. 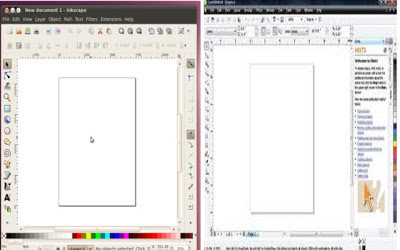 The following software GIMP | InkScape is also can install on your current Operating system (Windows or Mac) its better for us to get hand on before moving on Linux. So when i leave windows first issue i notice is the most popular software of Microsoft's family MICROSOFT OFFICE (basic word, excel & power-point every windows operating system is have must have this package but it is not a part of OS we need to purchase other copy of MS-Office to use this. As people opinion no other office software package compare with MS-Office. And it will not work on Linux So let's think it ones again ..
after moving on linux i found that they bind another office package "Libre Office" its good office package and MS-office alternative for linux of course we have choice to select other free and open office package for linux but i stick with Libra office. 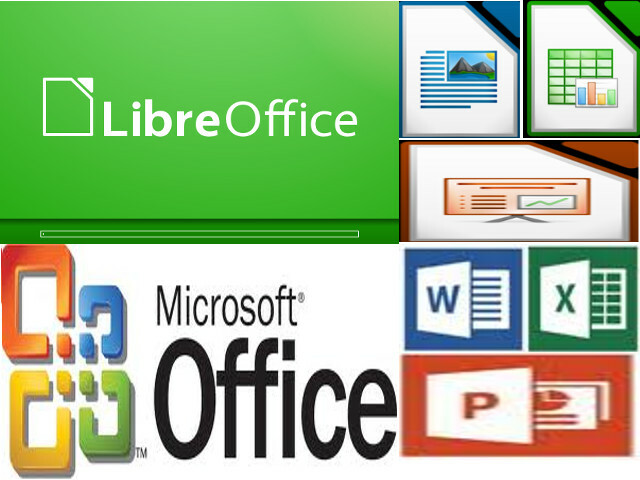 My friend told me that its really difficult to operate libre office than ms-office but when i start using it after few months i found libre office is very handy to me. Also there are some office premises which i know they are also use Libra in windows. And in practical world most of people use the office application for only basic formatting and data entry so its no issue or reason to stick with MS-office just need to give some time to learn those application as same as we done for MS-Office. have you tried google docs try its the online office where we share, collaboration & create micro on browser free of cost, so think again should we still require the MS-Office. The opinion about MS-office is good for past but today how we interact with system its prove that we already not require to stick with paid Office Application Package. In next part we will continue the the basic software alternative. After 3 years to learn Linux on virtual PC, finally shifted from the paid Operating System (Windows) to Free and Open Operating system (Linux) as my primary system OS. So to shifting from one perfectly handy and easy to Operating system to other same powerful and alternate competitor is not as easy as like buy a new system and after transferring all data start using it, there are multiple software comparability and hands on using issues we need to face i know people will say why should i shift if i am happy with current OS, this article is for people who want to explorer the computer world or love to learn and new things, like to control all by self without effecting THERE POCKET, so "i will say why not". Q. First what is Linux ? So that's in short explanation here. Q. Is Linux will work on my current system or if i am an beginner so where i install the Linux to learn ? Ans. Because of open source nature Linux is compatible most of hardware so if you have you old P3 system with minimum Ram still you can install and experience it, and for beginners they can install Linux side by side on there current OS or it's better to install as Virtual System so it will not effect any of your current system data & configuration. you can also use live CD to try it. Q. Where we can Buy/Get/Download the Linux OS. Ans. How we buy free things but if possible donate some money. And the http://distrowatch.com/ where you get almost all Linux distributions sites details with current popular ranking list. For this post i am using my favorite biggest community and support resource available Linux OS "UBUNTU". You can download latest Ubuntu desktop OS from there site http://www.ubuntu.com/download/desktop;. For any query and questions related Ubuntu can be ask or check previously answered solution on http://askubuntu.com/., support https://answers.launchpad.net/ forum http://ubuntuforums.org/ to stay up-to date for your systems related any news. Q. Dose my all windows application is run on Ubuntu ? 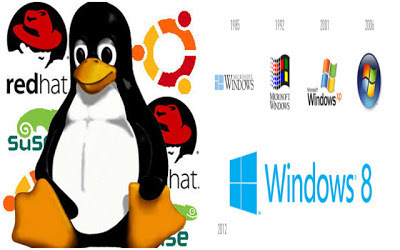 We can easily find free and Linux compatible alternative software we require to give time and effort to learn it again as we did for paid software's. Q. How to install Linux Ubuntu ?